How far in advance? According to Cheapair.com, 54 days is the ideal number of days before you should book your flight. You can take advantage of travel credit cards, and earn immediate sign-up bonuses if your planning to travel within the next few months. Chris Guillebeau recommends going with the Chase Sapphire Preferred Card, which offers 40,000 bonus points reward if you spend $4,000 in three months, and no foreign transcation fees. A $1,000 may last you less than a week traveling around Switzerland, but it could last you 2 months in Thailand, while exploring excursions, eating the best meals, and staying in comfy hotels. Picking which destination you travel to makes a huge difference, so you have to plan carefully what type of vacation or holiday you want to experience. Applying the laws of supply and demand, everything from flights, accommodations, and lifestyle will be much cheaper during the low season. This may mean sacrificing the satisfaction of the summer season, and going in the fall in order to save money. But keep in mind, certain places such as Argentina, New York City, and many other places around the world are often better outside of its hot seasons. Instead of staying at fancy hotels, you can meet new friends and fellow travellers, while saving more than 50% of your daily spendings by staying at friendly hostels. Besides, when you’re travelling, you’re most likely to be outside of your accommodation anyways, right? Treat your accommodation as a place to sleep, and leave it at that. It’ll force you to get out and explore the city you’re visiting. You could take advantage of the traveller community at Courchsurfing, and crash on someone’s couch as you move around — for free. What’s great about this option is that hosts will often have spare guest bedrooms that are available for you to use. But if not, what’s wrong with sleeping on a couch if it will allow you to save $20 a day (~$600/month) that you can use towards your adventures? WWOOF, also known as, World Wide Opportunities on Organic Farms allows volunteers to travel anywhere around the world to perform work on local farms in exchange for food and accommodation by their hosts. 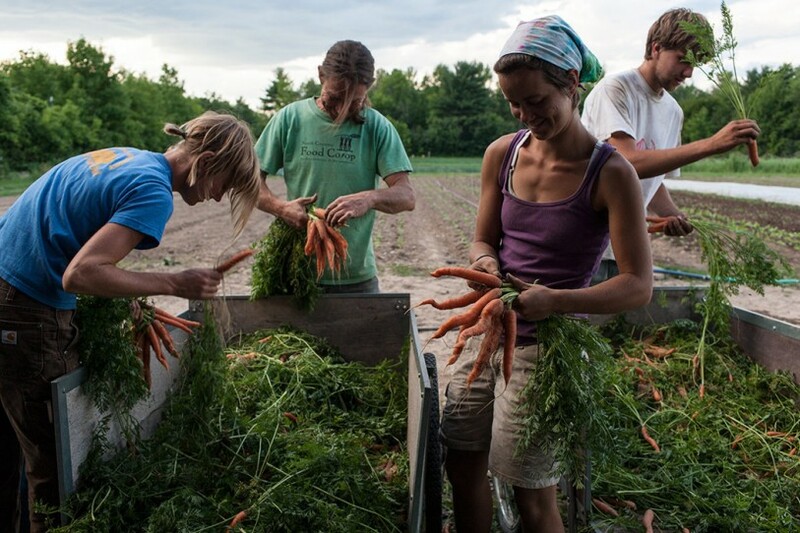 Click here to learn more about how you can WWOOF around the world. If you passed on those first two options, there’s always serviced apartments. Given the rise of the shared economy, most notable is AirBnB, there have been several other serviced apartments popping up. Choose from the list below to see how you can stay in someone else’s home, which will cost you slightly more than hostels, but less than hotels. Ever seen the movie The Holiday with Cameron Diaz and Jack Black? This is when Cameron decides to head to London by doing a home swap exchange with her home in Los Angeles after a break-up. This is something that isn’t as common, but it can certainly be done and for little to no cost, since you’re performing an exchange. Click here to check out a home swap exchange site. You’ve now arrived at your new city. How you spend your days will determine how much money you’ll have left over before you leave, and exciting adventures you can experience. Luckily, there’s a few tricks you can use to save money in your new lifestyle. It’s easy to avoid cooking and eat out everyday, especially if you’re in a foreign country. There’s nothing wrong with that, but force yourself to cook once in awhile. Since most of us eat 3-4 meals a day, we can enjoy the luxury of foreign culture and food, while being able to save money. Try your best to eat breakfast and dinner at home, and you can even try recipes from the city you’re visiting. The reason is most breakfasts are pretty standard, and eating out for lunch will rarely cost a lot of money, at least less than dinner. In many large cities, you can often take advantage of travel cards, passes and other schemes designed to help you save money by making use of public transportation (metro, bus and trams) networks. London has the Oyster Card and Weekly Travel Card, Paris has the Carte Orange and Hong Kong has the Octopus Card for example. Other cities have similar travel saver schemes. If you still have you student ID, you can often get a sweet discount on your travel card in addition. This may sound silly, but stay with me here. Most of us drink 8-10 cups of water a day, which could be equivalent to 5-6 bottles ($8-10/day). By carrying a reusable water bottle, you can refill your water (in most cases, the same water you’ll get from the bottle), and save up to $300 USD/month. Not bad for such a simple trick! Wherever you go, there will be free tours that allow you to see the city without spending the $20 USD to get on a bus tour. Check on Couchsurfing for free tours available. Some places, such as Mexico City, offer free museum tours on Sundays, so make sure to ask locals in your city, when you can take advantage of these offers. If you want to go on adventures without breaking the bank, Daily Deals is one of the best places you can look. Websites like Groupon are nearly available in most places around North, Central, and South America. You can go on helicopter tours, eat at fancy restaurants, or take language classes for up to 90% of the original price. If Groupon isn’t available in the city you’re traveling to, type in “Daily Deal Websites in [Your city]” and you may be able to find a local site targeting your city. Are there any tips we missed that has helped you or others save money while traveling? We’d love to hear what you have to say below!